If the leaves are starting to fall from the trees in your yard, collect some for a beautiful sewn leaf garland like this one from Craft. Some pretty ribbon in a Fall color and the most basic sewing skills are all that are required. Even I could pull this one off and might try if I can find any leaves. 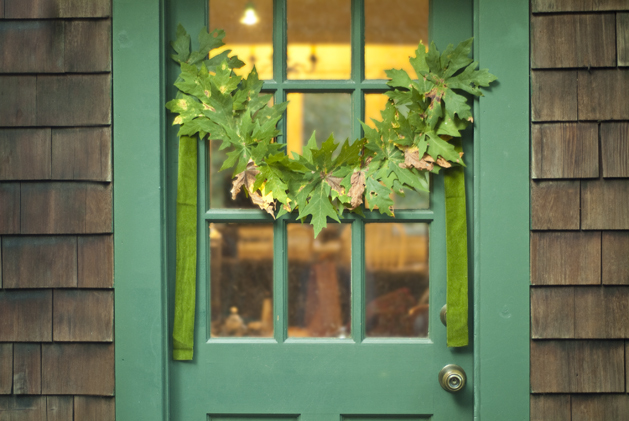 You can check out how to make a sewn leaf garland over at Craft. 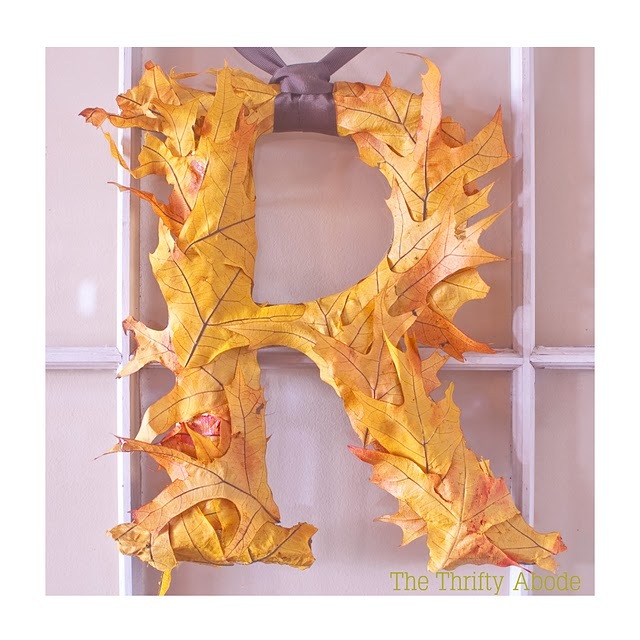 It would look great with a leaf monogram hanging under it too. That's absolutely beautiful. I think I need to do that! Randi, shoot me a link to your post if you do and I will post in on my Facebook page!